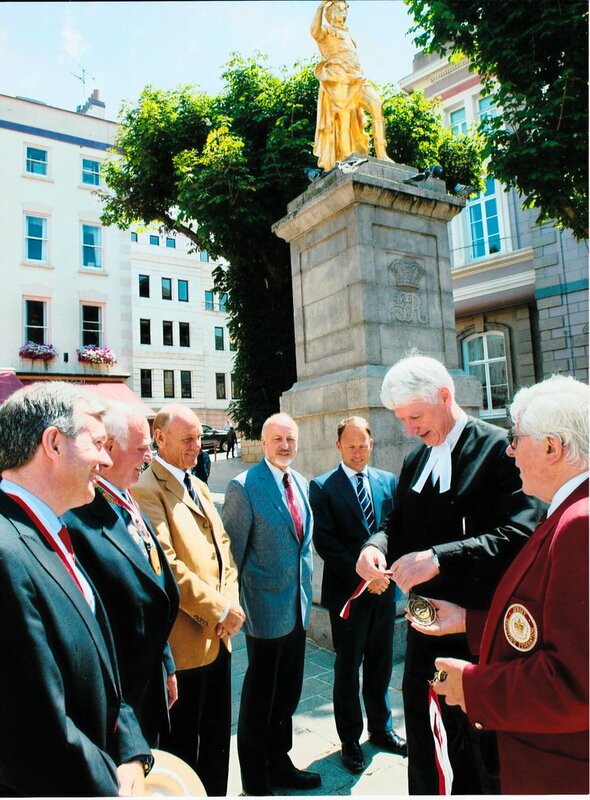 Left to Right – Deputy John Le Fondré, Deputy Gerard Baudains, Jess Ward (Mentor), Deputy John Le Bailly (Individual SuperShot Champion), Deputy James Baker, the Bailiff, Derek Bernard (Hon. Secretary, Jersey Shooting Federation). Photo by courtesy of the Jersey Evening Post.